Lillian Park Improves Her Half Marathon PR In Route To CIM | Run S.M.A.R.T. I’ve been chasing after a sub-1:45 half marathon goal for two years on my own without much success or even progress. I knew I had to make changes in my training in order to achieve my goal. I asked a friend, who previously had similar race times as me, except suddenly she was PRing everything and leaving me in the dust, how she got so fast and she said that she had started training with Leah through Run SMART. Well, if it worked for her, then I thought it could work for me too. Leah has been wonderful to work with. One of my concerns was that I would have a coach who would make me feel guilty about needing changes, but Leah’s great about working with you to make the training fit your life. 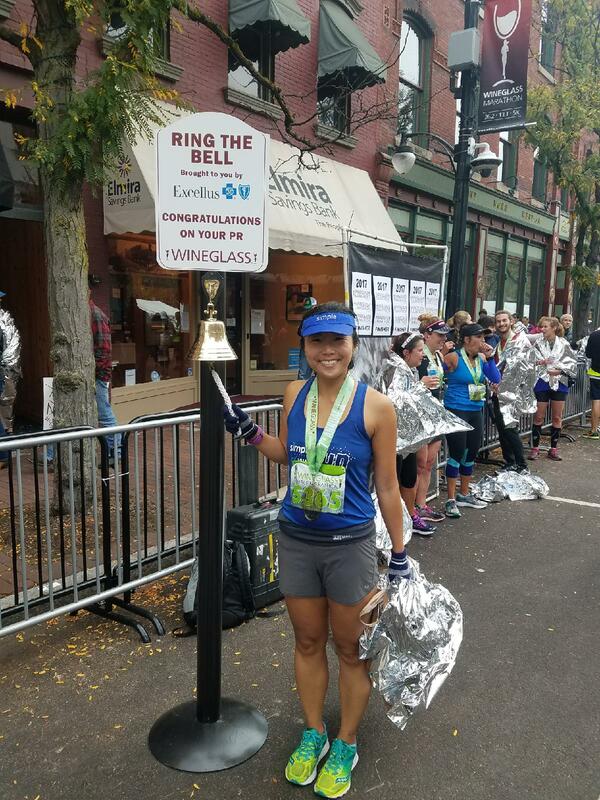 I was really nervous and scared about Wineglass because the prospect of running 8 min miles for 13.1 miles seemed daunting. Leah said that I could totally do this and I just put my trust into her and the training. What amazed me the most was how at I felt at Mile 10. Normally in a half marathon, I’m dying at that point and it’s all I can do to hold on. This time, though I was tired, I ran strongly and knew that I was going to grab my PR with plenty of time to spare. I’m ecstatic over the progress that I’ve made since May when I started working with Leah and the best part is that this is just the beginning. "I’ve Never Felt So Good In A Marathon"